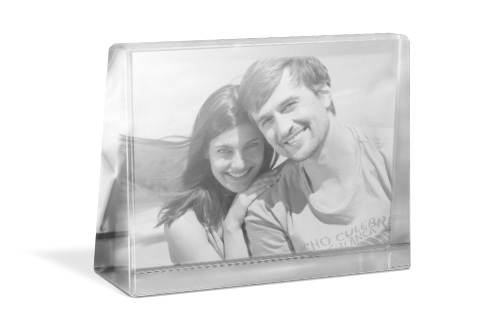 This crystal photo is guaranteed to impress from every angle: using a special laser process, your image is etched onto the crystal. 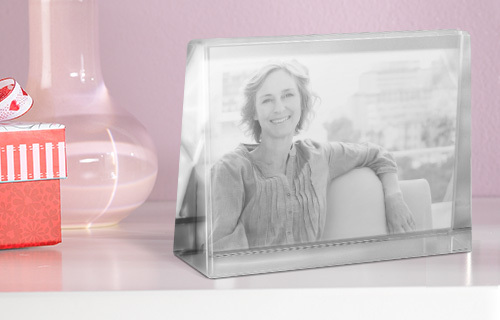 The photo frame is very decorative and requires no further context, and the special base means it stands up on its own. Supplied in an attractive gift box.